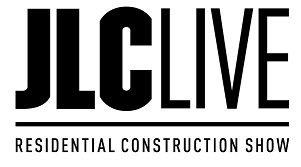 JLC LIVE is committed to providing in-depth and comprehensive education for construction industry professionals looking for innovative technologies, tools and trends that will strengthen and grow their businesses. Are you a subject matter expert in your field? Do you have proven best practices that could help others succeed? JLC LIVE staff calls on you to share your unique knowledge and business expertise with industry professionals. Presentations must show evidence of material that will make a significant contribution to the development of attendees’ professional capabilities and knowledge of the field. Presentations should be designed to fill a 90-minute session format. Only un-biased, non-proprietary presentations will be considered. Using the education program as a platform for promotion of products and services is not allowed. Presentations designed to promote a specific product, company or service will not be selected. It is the policy of JLC LIVE that all speakers received an honorarium based upon the nature and level of participation. Travel expenses are not provided or reimbursed for speakers participating in the program. The Call for Presentations will be active through April 5, 2019. For questions, please contact Lauren Moore at lauren.moore@informa.com.